Throughout this series I have always been curious about Tex and Mo. I was drawn into this story quickly and to put it mildly this story is intense. 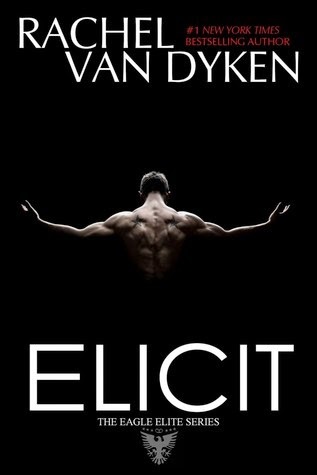 I felt Ms. Van Dyken did a wonderful job balancing the mafia and romance of this story. Not an easy thing to do. I must say you need to pay attention or you may miss important info. I felt like I was on a powerful roller coaster, in the dark not knowing when a surprise drop, twist or turn would come about. It was quite electrifying. Secrets, lots of secrets, betrayal, lies, forgiveness and the mafia all rolled into one. It is true you hurt the ones you love the most. You see that in this story. It tears you up inside. When I was finished with the story I was so happy, as I was not sure how things would turn out. I had hope, but you never know. With all the bombs that got dropped in this book. Is blood always thicker than water? Who would you choose...blood or water? I did feel that Tex and Mo's relationship was missing something like the friendship and sharing. It felt very lusty and more physical. Yes they have been friends since they were children and know each other but, I just felt the friendship did not grow. They do have chemistry and a connection. Overall a stirring read! I look forward to the next mafia book. Just FYI~ This book contains swearing, violence and sexual situations (I did skip most of the sexual situations as they were very detailed) This is an Adult book. I had read this entire series and it just keeps getting more intense. I love how the character are so well defined and yet there are surprises around every corner! I think that one of the most important underlying themes of this series is that you can't judge by appearances. You THINK you know what's going on with a character and why they do what they do. But, until you get inside that character's head and their past is laid out before you, you truly don't understand that character and his/her motivations. While this series is a work of fiction about the mafia (a world that the vast majority of readers have no real connection to) there are things we as readers can take from these books other than the amazing experience of getting lost in this fictional world. To me, that is truly good fiction - when I can find some life truth that makes me a better person in the real world. I thoroughly enjoyed the roller coaster ride that was Elicit. Tex and Mo's relationship is so multi-faceted. Their loyalty to one another is nothing short of fierce. The other members of The Family and the drama that is par for the course with the mafia provides the perfect backdrop to test Tex & Mo's loyalty to each other. While their was a focus on their physical relationship, I do feel that it was a physical manifestation of their deep emotional connection. I am so excited for the coming books in this series! FYI~This book does contain strong language, violence, and intimate scenes. It's an Adult book, not appropriate for teenagers IMO.